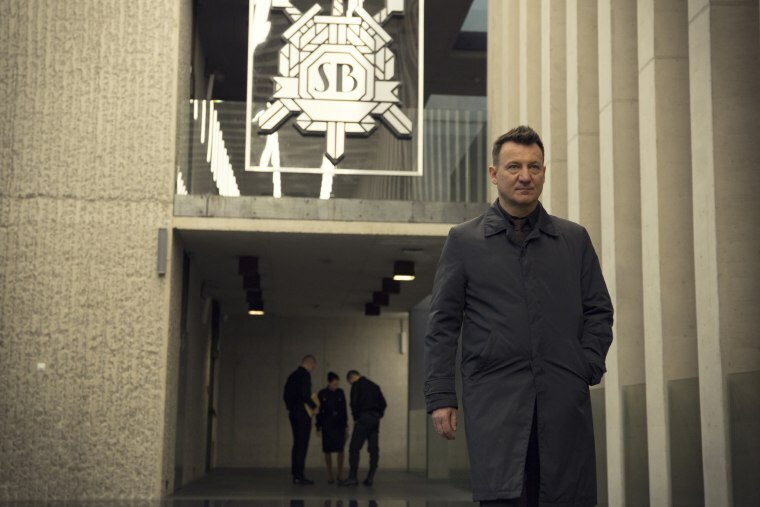 New Netflix show '1983' is tightly paced, well-written — and in Polish. Will American audiences tune in? “1983” makes the argument that true global entertainment is good for viewers around the world. ‘Tis the season to fight fascism. Even before the 2016 election, the rise of dystopian TV and movies was becoming an increasingly recurrent note in the cultural symphony around us. In the last two years, however, it feels like these stories have taken on a new sense urgency and relevance. The latest example of this trend is the new Netflix show “1983,” which may be one of the best series released to streaming this year. (That’s saying quite a bit, considering Netflix spent somewhere between $8 and $13 billion on original programming in 2018.) Tightly paced, with edge-of-your-seat plot twists, this is an onion of a tale begging to be peeled. Whatever language the characters speak, this is a story that should resonate widely in modern America. There’s just one small wrinkle: It’s in Polish with English subtitles, something that American mainstream audiences routinely snub. And yet, like “Dark” (German) and “The Rain” (Danish), “1983” is part of a growing group of recent TV series that don’t care if Americans are too lazy to read subtitles (though to be fair, “The Rain” released an overdubbed in English version in the U.S.) In short, "1983" is part of Netflix’s ever-growing quest to conquer a global audience. Whatever language the characters speak, however, this is a story that should resonate widely in modern America, as the Trump government continues its seemingly daily litany of lies and the president muses that state run TV sounds like a great idea. Every streaming service has a show that put it on the map; for Netflix that show was “House of Cards.” Poland native and Oscar-nominated showrunner Agnieszka Holland, who directed several episodes of “House of Cards” during the series’ heyday, directs all eight episodes of “1983” in partnership with her co-director of “Spoor,” Kasia Adamik, who also happens to be her daughter. Their creation, written by Joshua Long, brings to mind another would-be flagship show, “The Man in The High Castle,” which Amazon Studios promoted heavily when it first arrived but has not translated into significantly more subscribers for the streaming service. Like “The Man in The High Castle,” “1983” is set in an alternative history. But while Amazon’s triumphant images of a Nazi-fied America felt exceedingly tone deaf, Holland’s show features a more modern timeline and less controversial imagery. Though the name of the show is “1983,” the series is actually set in 2003 in a world where the Iron Curtain still stands, Germany is still mostly under the control of the Eastern bloc, perestroika never occurred, Al Gore is president and the Cold War drags on. The title refers to a terrible terrorist attack that occurred on March 12, 1983, scarring the country and creating global ripple effects. Another reason the show feels more contemporary than historic is the lack of recognizable images associated with the Cold War era. There are plenty of flashbacks from before 1983, but even those show little of the iconography that would distract from the story at hand, the way “The Man in The High Castle” continuously does with its Nazi symbols. Holland keeps her world stubbornly Polish, meaning the signs of communism are mostly relegated to Polish military uniforms, tiny boxy cars and endless, Brutalist architecture. Click here to sign up for the weekly THINK newsletter, bringing you the sharpest analyses and most powerful essays of every week. Netflix isn’t the only major entertainment platform moving into foreign-language TV. HBO too is exploring the genre with “My Brilliant Friend,” shot in Italian with subtitles, which is airing this month. But HBO’s foray feels more like an attempt to create a “foreign language category” for smug American critics and Emmy voters. Netflix, on the other hand, has already conquered the English-speaking countries. Now it’s time to get the rest of the world to start subscribing. “1983” makes the argument that true global entertainment is good for viewers around the world. I'm convinced.